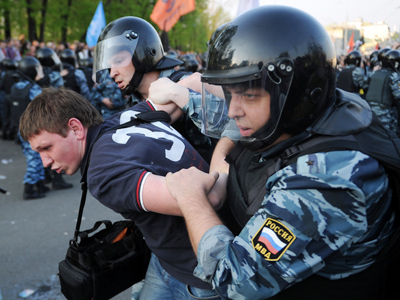 The top Russian Human Rights body has joined the call for an amnesty for those convicted and suspected of taking part in riots that took place on May 6, 2012. 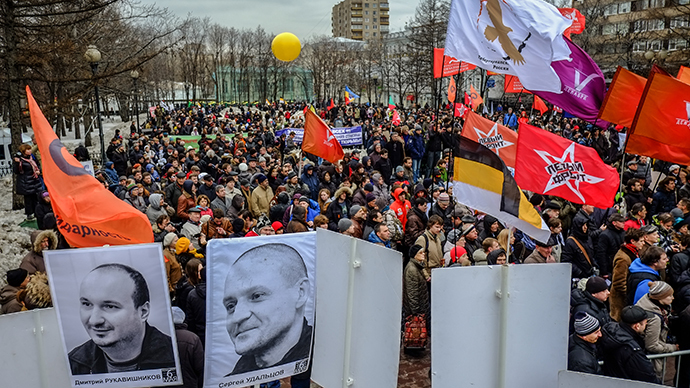 “We call upon you to support the draft statement on granting amnesty to all suspects within the so called Bolotnaya Square case,” reads the address from the council members to the Lower House MPs published on the council’s web-site. 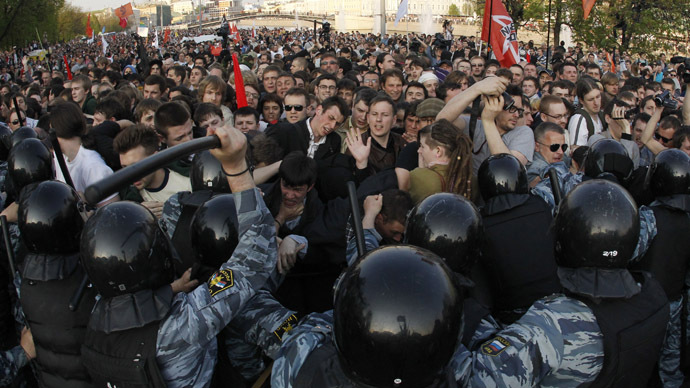 The HR activists go on to claim that the prosecutors’ theory of a premeditated mass riot does not appear credible to those who attended Bolotnaya Square on May 6 2012, and that the Bolotnaya protesters hold that the clashes must be blamed on law enforcers. The council members then say that the continuation of investigations and court cases would only prevent the possible 'settlement in the society' and aggravate the supposed stand-off between the authorities and the “peaceful civil opposition”. Continuation could lead to more radical protests and undermine the citizen’s trust to the courts and the state system in general. 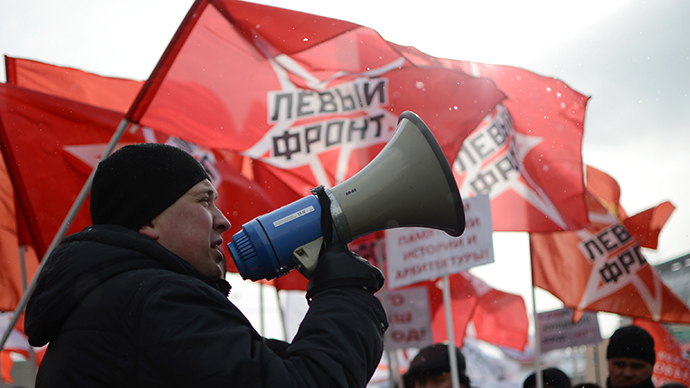 The suggestion of an amnesty for all the suspects was first voiced at the end of April by two Communist Party MPs – Anatoly Lokot and Boris Kashin. They suggested the move to mark the 20th anniversary of the Constitution of the Russian Federation (that will be marked on December 12) and promised to formally submit the proposal in mid-May, after the holiday period. The two communists said that the amnesty would become a signal to society that the state is ready for a dialogue. Billionaire Mikhail Prokhorov who is heading the pro-business party Civil Platform also supported the call for an amnesty saying that this would be the most reasonable step in the current situation. 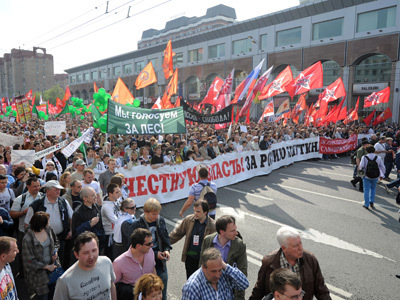 The riots on Bolotnaya Square took place on May 6 last year during a major protest rally against alleged elections violations. Authorities started about two dozen criminal cases against alleged rioters, one of which has ended in a conviction and a 4 and a half year sentence. Investigators also started a separate case into the suspected preparations for the riots claiming that several leftist activists, including one of the street opposition’s leaders Sergey Udaltsov plotted and prepared the unrest and financed their activities from money provided by Georgian spin doctor Givi Targamadze. Targamadze was also charged in absentia as part of the case but hopes for a trial are slim as Georgia and Russia currently have neither diplomatic relations nor an extradition agreement. One of the suspected plotters – Konstantin Lebedev – was convicted on April 25 and sentenced to two and a half years in a prison colony.